Did you know that Canberra has more than 16 species of birds of prey within its city limits - more than any other city in the world - and that Black Mountain alone is home to more species of insects than all of Britain? These amazing facts were part of the thinking that went into the development in 1995 of the ACT's first ecotourism strategy. With just over 53% of the ACT devoted to national park and nature reserves, 'Canberra - The Bush Capital' was ideally suited to take advantage of the ecotourism boom that began in the 1990s. However, while the ACT had legislation like the Protection of Lands Act 1937 and Noxious Weeds Act 1943, as well as various policies and management plans to protect the environment, there was no overarching strategy in place to manage the tourism aspects these spaces. 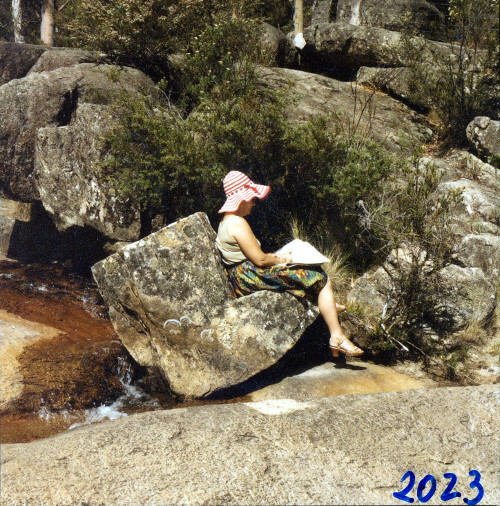 Records covering the development of the ACT's first Nature Tourism Strategy are now 20 years old and open for public access, making them ArchivesACT's Find of the Year. In 1993, when the Federal Government launched its Natural Holiday Guide campaign to promote ecotourism within Australia, the Federal Minister for Tourism, Michael Lee, described ecotourism as "one of the fastest-growing travel segments in the world". 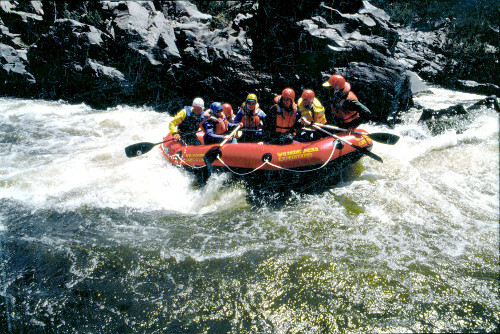 Ecotourism (a combination of the terms ecology and tourism) was 'the' tourism industry buzzword during the 1990s. Governments everywhere were soon under pressure to draft strategies that could balance both environmental concerns with commercial interests in natural areas. In November 1993, the Commonwealth Department of Tourism released a Draft National Ecotourism Strategy for comment by the states and territories. The Strategy defined ecotourism as "nature-based tourism that involves education and interpretation of the natural environment and is managed to be ecologically sustainable". This definition recognised that the 'natural environment' included cultural components and that 'ecologically sustainable' involved an appropriate return to the local community as well as long-term conservation of the resource. It was a result of significant public consultation with a wide range of groups, including natural resource planners and managers, tourism industry associations and educational and financial institutions. The ACT Tourist Commission and ACT Parks and Conservation Service (ACTPCS) prepared a joint response for the ACT. While they generally supported the objectives of the Draft Strategy, they did make some comments on resource management practices, funding availability, sustainability, building development on sites, performance measures around environmental sustainability development and providing positive messages about environmental management. Even before the release of the Draft National Ecotourism Strategy, development of a sustainable local strategy was on the minds of our Ministers. 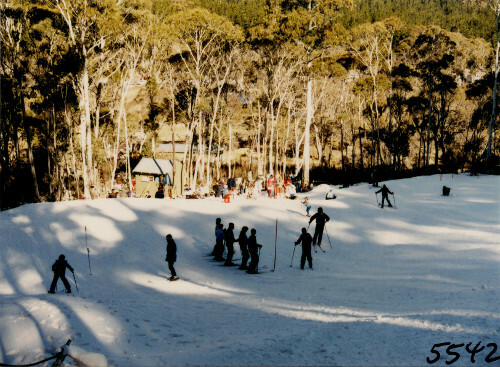 In May 1993, ACT Minister for Environment, Land and Planning, Bill Wood, was conscious that ecotourism could become another potential threat to the Territory's environment. Adequate planning and control was necessary "so that the problems experienced in Cape Tribulation or Daintree are not repeated". Visitor numbers at Namadgi National Park were increasing and he believed that a review of the current management plan was needed, which included the newer areas of the Park, as well as addressing other "changing pressures". "I believe that all natural public land areas should be assessed in one strategy to obtain an integrated and long term approach to development and commercial activity in areas primarily managed for their environmental values". To do that, Minister Wood called on the expertise already in Canberra. Companies already in the game included local ecotourism guides MudMaps, the Mjlangarrie Aboriginal Corporation and a natural history tour company Gondwana Dreaming. These groups, government representatives and the Australian Tourism Industry Association formed a working group to advise on a way forward. 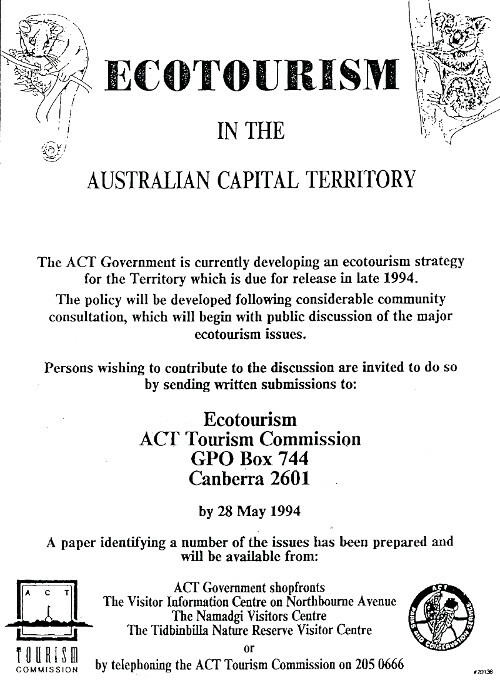 In April 1994, Chief Minister Rosemary Follett announced the release of the Ecotourism in the Australian Capital Territory: Issues Paper and invited public submissions. However, the decision to make this announcement during Autumnfest, a celebration of introduced plant species to the Canberra region, drew the ire of some conservationists. The Canberra Times reported that conservationists compared the setting as "like promoting endangered species at a fox and cat festival". Through June and July 1994, the Working Group met to review the public submissions to the Issues Paper and discuss the development of an ecotourism strategy. The Working Group's report, called A Question of Balance, was released in August 1994. The report's author, David Lawrance, stated he wrote it "from the tourism rather than the conservation perspective".The Working Group intended this report to "expose some of the possibilities for reducing the financial burden the Parks and Conservation Program imposes on the ACT taxpayer and stimulating the ACT's tourism industry and economy". "It has become obvious that the Territory has not achieved anywhere near its potential in this area when compared to the rest of the nation. As about half of the land area of the Territory is devoted to nature conservation the potential is certainly there". The report did caution against simply promoting the nature parks and reserves, as "This would get large numbers of people through the properties with little real benefit to the Territory or to the visitors". 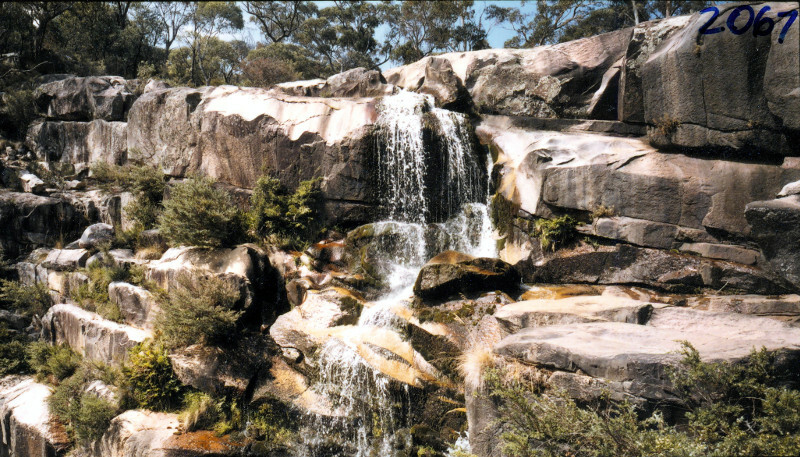 The report also emphasised that any promotional campaign needed to ensure "we attract visitors who will make significant contribution to our economy..."
During the second half of 1994, the government released its draft strategy, Nature Based Tourism in the Australian Capital Territory for comment. However, Chief Minister Rosemary Follett was unimpressed with the draft, describing its style as "dry and dusty" and the section on parks reading like a "cut and paste job". She requested "a rewrite to be completed immediately after the election" and that "there should be more discussion about the city and its landscape, especially in terms of Canberra being an environmental city". After reviewing comments on the draft strategy, the ACTPCS also offered some constructive criticism. 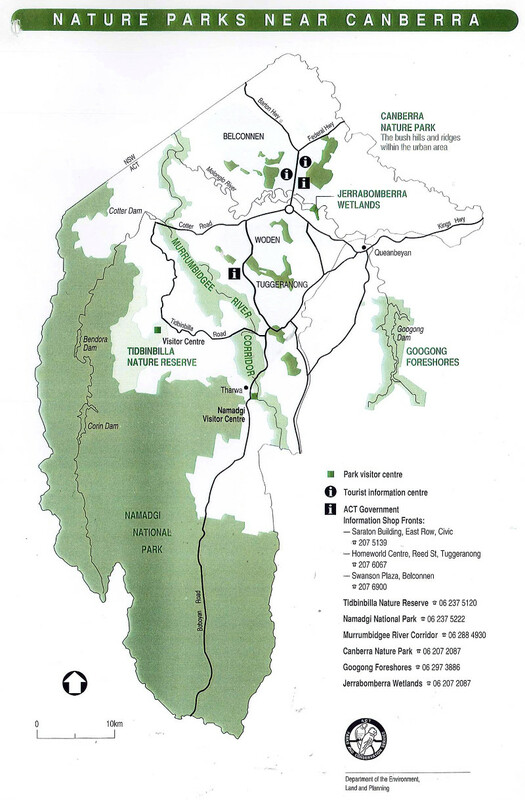 The review noted the only references to ecotourism related to Namadgi, Tidbinbilla, Murrumbidgee and Googong, and no mention was made of the Canberra Nature Park. The ACTPCS was concerned that, "The wider ecotourism landscape does not have to be restricted to these individual parks". To support a broader view of ecotourism the ACTPCS highlighted some of the outstanding ecological features of Canberra and the ACT, including its 16 birds of prey species and astonishing range of insects. It also pointed out the breadth of natural heritage features and landscapes within the ACT's borders, including waterfalls, Aboriginal sites, riverine systems, dry forests, subalpine peaks, tall wet forests, grasslands and wetlands. "A big problem of the previous report was that you read it and said "well, so what". Much relevant information was there, the writing style was OK, but it sat there like a bowl of porridge. Nourishing but bland and with nothing to grab onto". In March 1995, the newly elected Carnell Government established a Standing Committee on ACT Promotion and Tourism to inquire into, and report on, the benefits to the ACT economy arising from the further expansion of tourism. "Private enterprise nature-based tourism is already underway on a small scale in the ACT. About a dozen private operators provide bus and 4WD tours through the parks and reserves, and some horse riding / trails are also operated. Several areas have been used for filming". Submissions came from a broad variety of groups including Koori Aboriginal Culture Tours, Minders of the Tuggeranong Homestead and the Ginninderra Wetlands Care Group. The Committee also met with representatives of the ACT Ngunnawal Elders Aboriginal Council to discuss the involvement of Aboriginal people in nature based tourism. In their submission, the ACTPCS saw the need for increased promotion the ACT's nature reserves to the wider community instead of providing "a playground for ACT residents". They hoped that better promotion would "indicate the natural attractions of the ACT, encourage people to stay the extra day, and tell them how to get there". greater involvement of local Aboriginal organisations in the future development of ACT parks and reserves. One of the most visible outcomes was the erection of signs welcoming visitors to Ngunnawal Country at the ACT's borders. 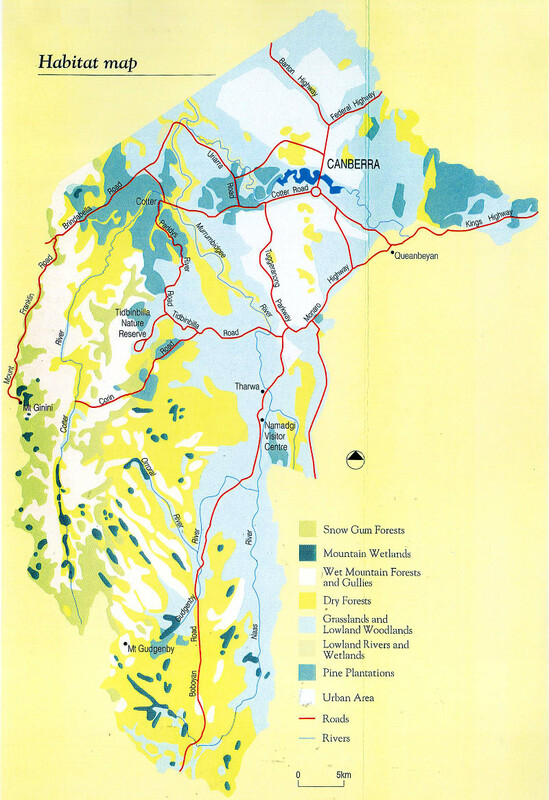 In February 1997, the ACT Government released its long awaited Promoting the Natural Capital: A Nature Based Tourism Strategy which concluded that the "ACT can't be all things to all visitors, but should focus on its unique position and strengths". Canberra's bush capital image lent itself early to the ecotourism craze, and there were plenty of imaginative and industrious people on hand to take advantage of this new interest in the natural environment. As is often the case, government officials at times struggled to keep up with the pace and bring order and balance to a contested field. Ecotourism has remained in the Australian tourism lexicon, with both the Canberra and Australian Tourism Awards regularly including a prize for ecotourism operators. And, showing that governments can get the balance right, the ACT Government's Tidbinbilla and the Commonwealth's Australian National Botanic Gardens have been regular winners of that award. Many Australians immediately think of politics when they think of Canberra, but we also have birds of prey, a vast array of insects, and ecotourism opportunities to be proud of.